The average U.S. consumer loves to read news online, but only one in five is willing to pay for it. And if your favorite news site suddenly erects a pay wall that requires subscription or pay-per-article fees, more than four of five of you would simply get your news elsewhere. Those sobering statistics--bad news, certainly, for newspaper and magazine publishers intent on charging readers for online content--is from a new Pew Internet Project study that examines consumer attitudes toward online media. The report confirms what mainstream media outlets have feared for years, even if many won't admit it: Getting online readers to pay for mainstream news will be hard--really hard--and no one has a clue how to go about it. The Pew findings don't bode well for upcoming pay wall plans by The New York Times and other newspapers. The Times, for instance, announced in January that it would implement a hybrid free/fee system for its website. Beginning in January 2011, readers will be able to view a certain number of free articles each month, but they'll have to pay a flat fee for full access to the site. 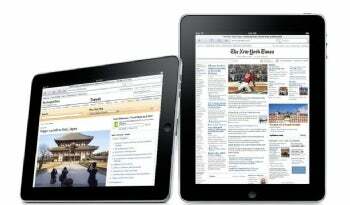 The Times also is developing a fee-based offering for the upcoming Apple iPad tablet. The Internet has become a stellar medium for news delivery. According to Pew, six of ten Americans read some online news every day. Problem is, most news publishers can't profit from the new medium, despite 15 years of trying. And if publishers' Internet operations are profitable, their revenues aren't enough to support the extensive (and expensive) news gathering operations that were possible under the dying, print-advertising business model. There are exceptions, of course, most notably News Corp.'s Wall Street Journal, which has succeeded in convincing readers to ante up for online news. Subscribers pay $79 per year to access the Journal's websites, and News Corp. chief Rupert Murdoch has announced plans to add pay walls to the media giant's other news sites. But, as Pew reports, Murdoch has "yet to take any action on the matter." Like the Journal, other pay wall success stories are niche publications (like Consumer Reports) or databases that offer specialized information not available elsewhere. These publications are quite different from a general-interest newspaper, which usually includes national and international news available from a wide variety of online sources. Online News: What Would You Pay? In the pre-Internet days, your local newspaper had a monopoly on print versions of syndicated content. (And even in a two-newspaper town, the competition was minimal.) Today, wire copy from AP, Reuters, and other syndicators is ubiquitous online. Classfieds? You used to need the local paper to find a job or sell a car. Today, Craigslist owns the classified market. So aside from local news, what does your city's paper have to offer? What can it charge for an online subscription, and what are readers willing to pay? For consumers to pay up, news organizations will have to offer "content that is unique, and this may require specialization and investment by news organizations," Pew reports. In other words, they'll have to get creative--and fast. It remains to be seen whether the ink-stained wretches are up to the task.